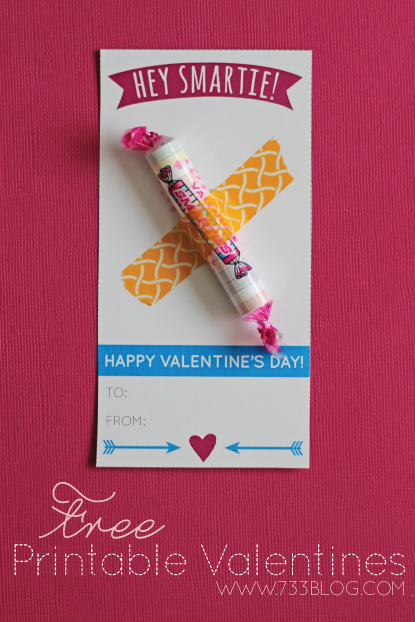 Print off these simple, yet cute Valentine’s Day Cards, trim and attach a Smartie candy with washi tape! Perfect way to sweeten someone’s day. My son chose these as the Valentine’s Cards he wants to share with his class. Plus, I found a box of 48 Smarties at Walmart for under $3! Score! versus the cheapo store bought cards. I’ve been informed that in Canada these candies are known as “Rockets” so in honor of that, I’ve created a second version of this Valentine that says “You’re out of this world!” across the top and is perfect for the “Rocket” candy! Download the Canadian Version “Rocket” Valentine. Maybe Smarties aren’t your thing? 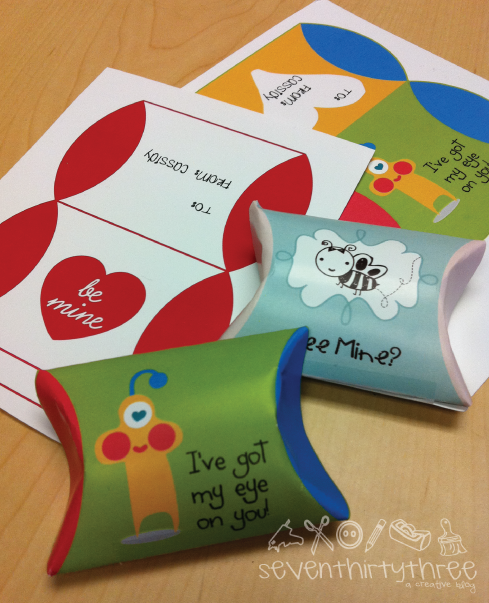 Then you’re BOUND to find something you like in The Ultimate Valentine Printable Pack! 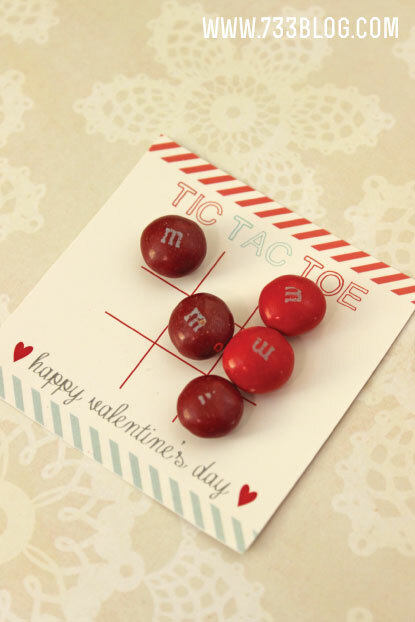 M&M’s, Tic Tacs, Spree, Skittles and any other smaller candies work perfectly! 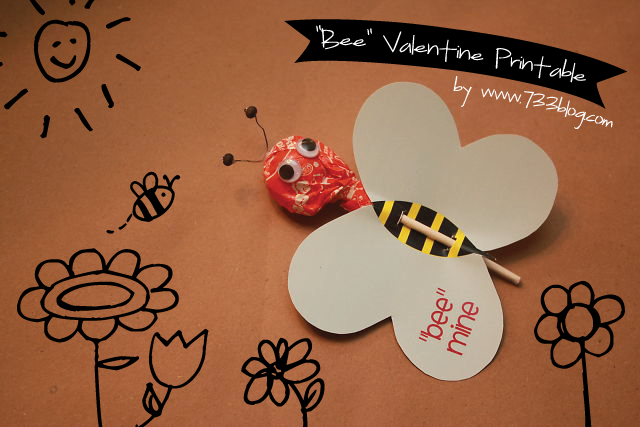 Or maybe this little Bee Valentine is up your alley? Maybe your son is sick of “girly” Valentines and wants something a bit more manly? How about a Robot pouch to store some goodies? 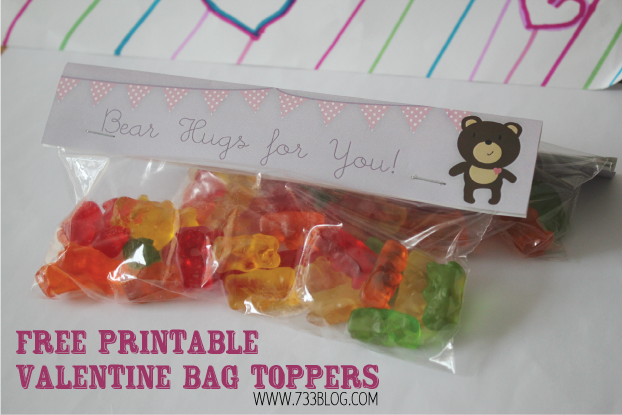 I love super simple Valentine options, so how about this Bear Hugs bag topper? Fill with Teddy Grahams or Gummy Bears and you’re done! 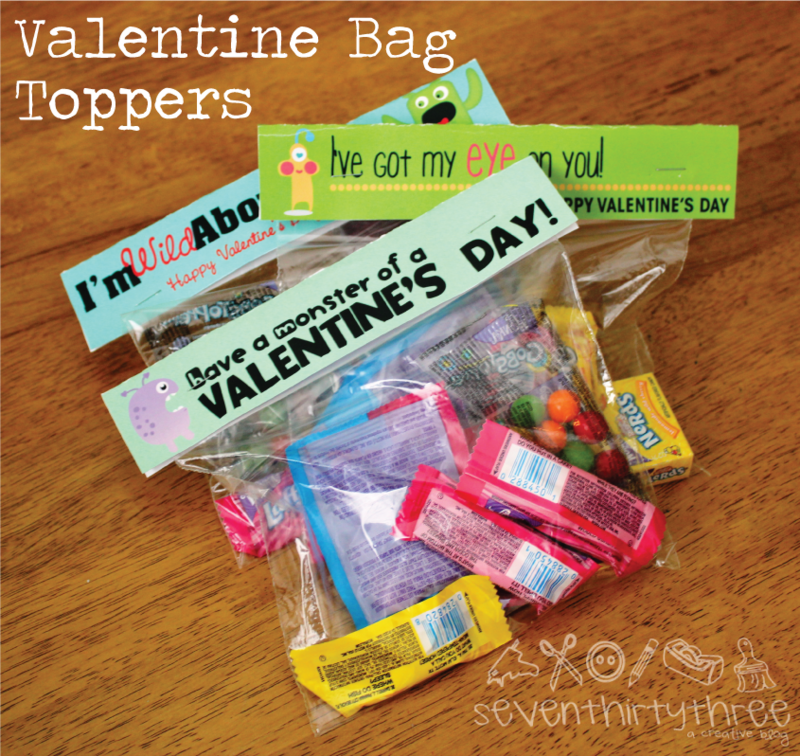 These Monster Valentine’s Day Treat Toppers have always been a hit in our house. 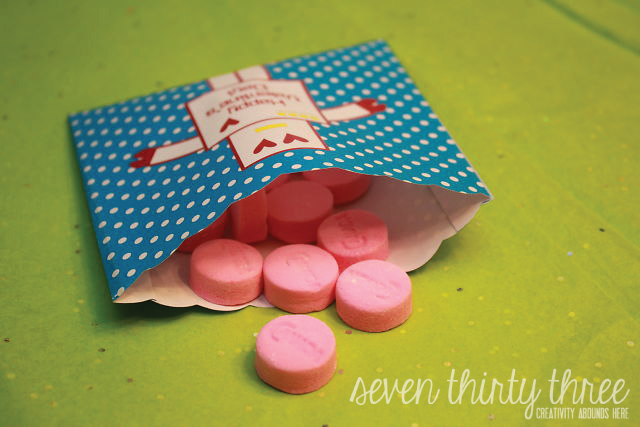 Last, but not least, are these little Valentine’s Day Pouches – perfect for small little treats. I happily add more Valentine’s Day Cards each year, so make sure to check out the rest of my Valentine’s Printables! Love all these ideas Kim! I have no idea how you do it! Thanks for sharing at the Hit Me With Your Best Shot Link Party last Tuesday! Hope to see you again tonight at 7EST! Excited to see what you’ve been up to! 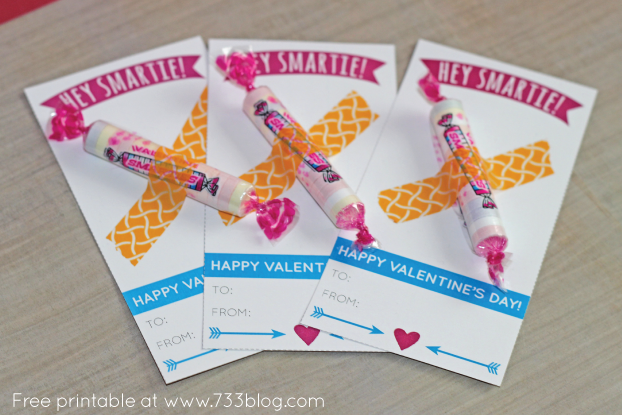 Thank you for the “Smarties” valentines! My boys are going to tape and sign them tonight! Thank you for these! They are perfect! I do make printable designs myself, but I was scouring Pinterest for something I didn’t have to make as I am running out of time and have so much still left to do and make! So THANK YOU, THANK YOU! It’s fun to be a normal and enjoy the things others make! 😉 <3 My kiddos will love these too! Thanks for helping out this not so creative mama! My daughter loves it! Yay! I love hearing this. Happy Valentine’s Day!